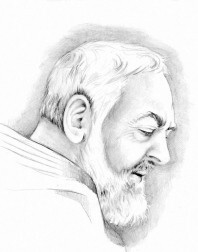 emitted in 1999 for Padre Pio Beatification? This is a special folder released in Italy in the year 1999, the year of Saint Padre Pio Beatification. & it has been touched to the shrine of St. Padre Pio. Buy yourself a nice present, or make someone you love very happy!